Design Earth: “Strait of Hormuz Grand Chessboard,” After Oil, 2016. 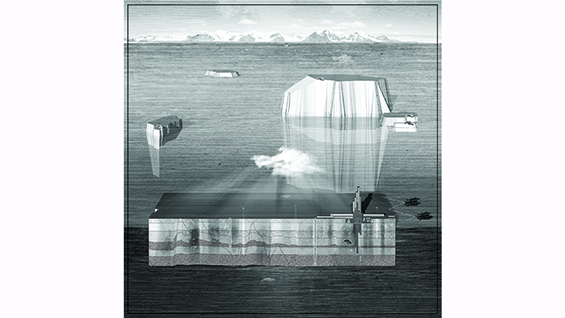 Geostories is a manifesto, developed by the design-research practice Design Earth, on the environmental imagination presented in architectural projects that engage the planetary scale with a commitment to the drawing as medium. This exhibition will present four subject-specific projects – After Oil, Of Oil and Ice, Pacific Aquarium and Trash Peaks – in the form of large scale drawings printed on canvas and mounted on wood. Through geographic fiction, the projects invite the public to engage the Earth and humanity's relation to it. The prefix Geo– engages the Earth as a grand question of design: a concern, site, scale and aesthetics. 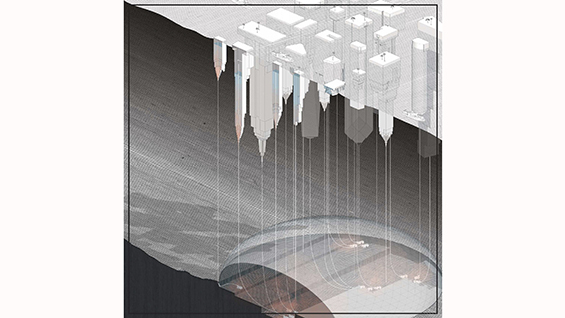 Such geographic worldview expands the scale of the environmental project in architecture to global resource hinterlands: it makes visible the unaccounted for spaces of “technological externalities,” of landscapes of logistics, resource extraction, trash, space debris. The suffix –stories channels such matters of the Earth into speculative scenarios on techno-environmental systems. Design Earth is led by Rania Ghosn and El Hadi Jazairy. 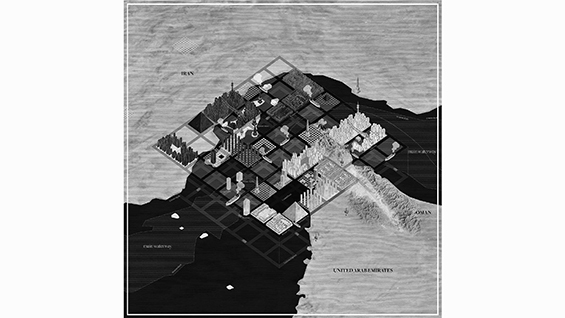 The design-research practice examines the geographies of technological systems, such as those of energy, trash, water and agriculture, to open aesthetic and political concerns for architecture and urbanism. Their work is widely recognized, including a Young Architects Prize from Architectural League of New York, and has been exhibited and published extensively. Ghosn and Jazairy hold doctor of design degrees from Harvard Graduate School of Design, where they were founding editors of the journal New Geographies. 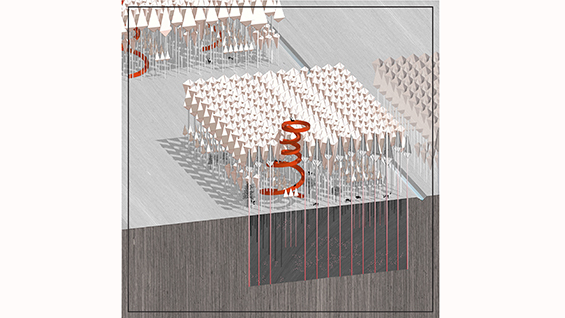 Ghosn is currently assistant professor of architecture and urbanism at the Massachusetts Institute of Technology School of Architecture & Planning, and Jazairy is assistant professor at University of Michigan Taubman College of Architecture and Urban Planning. Presented in association with Archtober, Architecture and Design Month New York City, October 2016, and in conjunction with Franco Purini: Selected Works.